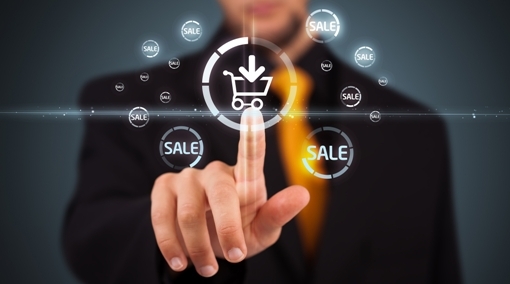 The e-commerce in China will reach 10% of the entire retail in China by the end of 2014. Therefore, company start to get really interested into the segment growing faster as ever. Most of the Chinese market is dominated by Alibaba. The company own a lot of well known website, including Taobao (C to C) and Tmall (B to C), famous all over China. The firm also has its own payment method : Alipay. Yahoo already knows the potential of Alibaba in the mid 2000s when the domestic e-commerce started to boom in China. They acquire 40% of it for a 117 million Euro. Yahoo made a very good deal by the time and expected the company to be IP valuable in a few years… The bet was won ! The American firm is one of the top pioneer in site banner and on-line adversing techniques in general. Alibaba was then the perfect catch for the firm. The two first search engines in China are the very well known Baidu and then Alibaba thanks to Taobao consumers research. Yahoo is often called « lucky » for owning a considerable slide of the giant Chinese but at the same time Alibaba would not have gone far without Yahoo’s help. Alipay didn’t have the impact expected and for Chinese customers who don’t have credit card but other modern forms of payment, it wasn’t the perfect move to do. They should improve on the side by diversifying their way of on-line payment. However, Taobao was the leader in e-commerce and e-marketing in China and is now the best in B to B. Mobile are the fastest growing channels upon the market and allow to target the entire population in a smart way through mass advertisement and flash sales promotion. Alibaba even created an online holiday on November 11th, « Singles Day », that became the largest day of e-commerce sales in the world. Taobao and TMall generated over 675 million Euros for this single day in 2013. It became so popular that now even other known retailers on-line shop hold sales during this day. The smartphone market is increasing more than in any other country. Therefore, the penetration has to be a bit aggressive. Especially because most of the growth is happening outside of the major cities. We often see a situation where the demand is higher than the supply like in Lhassa Tibet where the delivery is difficult and limited. It’s a very interesting position in favour of mobile smart e-commerce players. 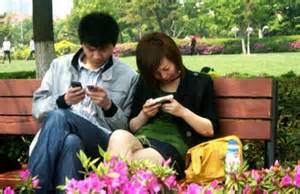 Moreover, let’s remember that Chinese spend all their time on their cell phone. The Chinese government is also banishing International network and website so it allows powerful local brand to establish themselves and rule the Chinese Internet. Unlike in the US e-commerce, there is a weak off-line competition and a strong national wide network. This plays a meaningful role in the Chinese e-commerce and contributes a lot to the increase of the sector. This will be interesting to see how off-line retail developed in the future and catch up on physical store. With more than 1.3 billion people, China has still a lot to give and experience.